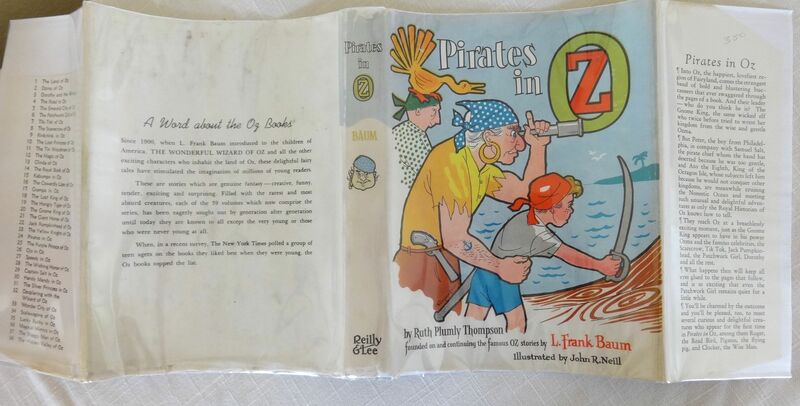 Here is a nice copy of Pirates in Oz, with one of the hardest to find Roycraft dust jackets. 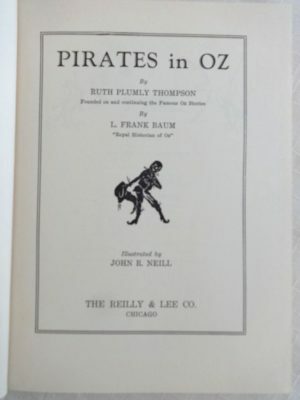 In about 1959, just eleven of the Oz books were issued in special dust jackets designed by Roland Roycraft. 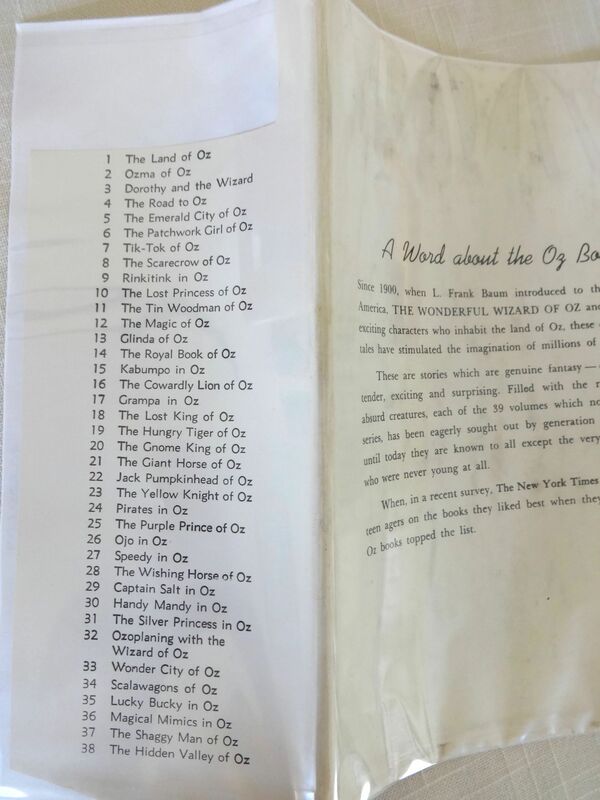 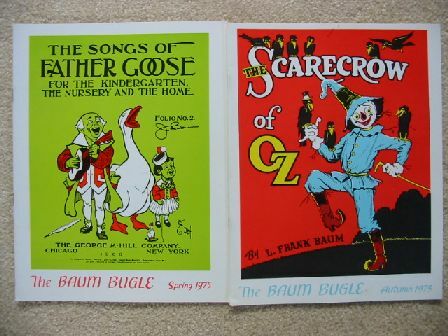 These were only in production for a few years before being replaced by the “white cover” editions without dust jackets, which are more common. 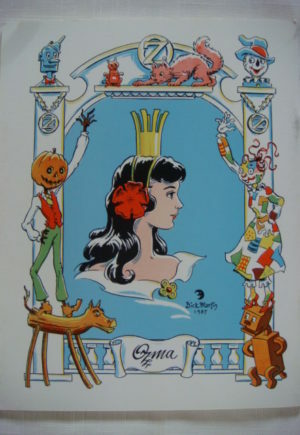 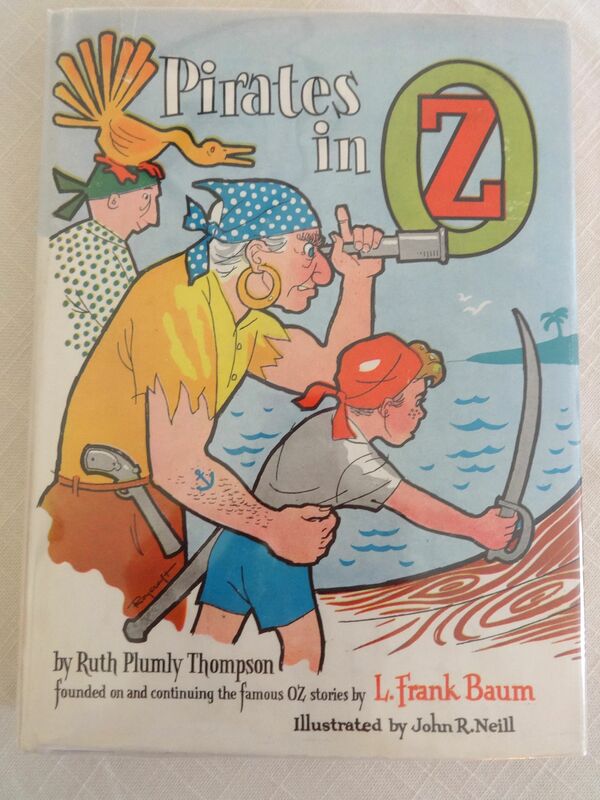 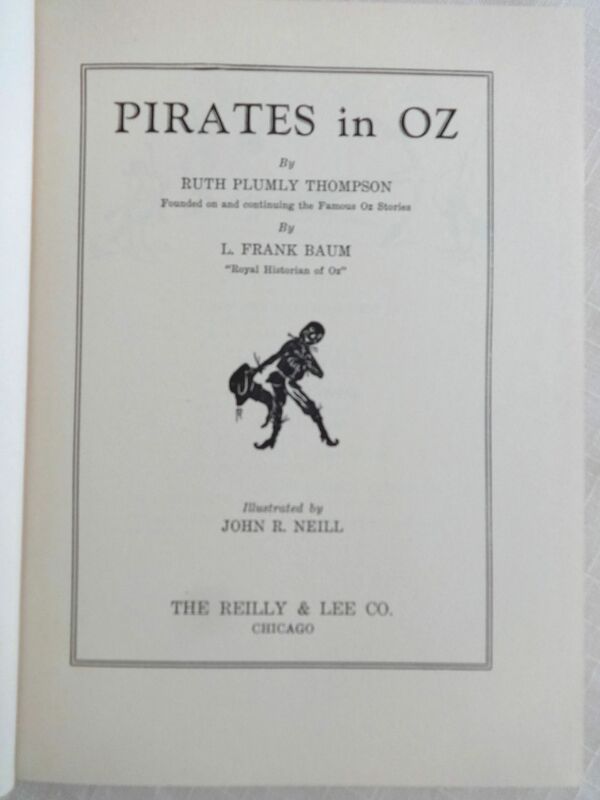 Pirates in Oz was written by Ruth Plumly Thompson and published by Reilly & Lee, copyright 1931. 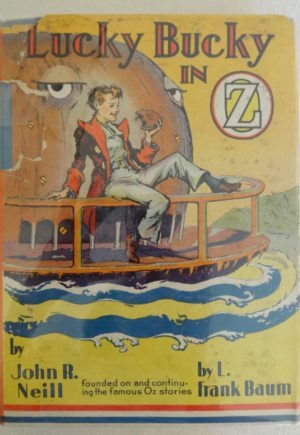 B&W illustrations; jacket lists to Hidden Valley of Oz, as do all the Roycraft jackets. 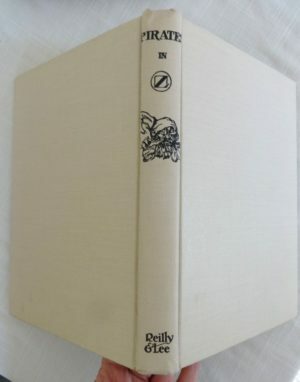 Book itself is in fine condition, clean and tight; Book Belongs To page blank. Jacket is very good, bright and clean, no tears but with cutout at top of rear flap as shown (I think this was an order blank for more Oz books). A beautiful, collectible copy, protected in a mylar-type jacket!